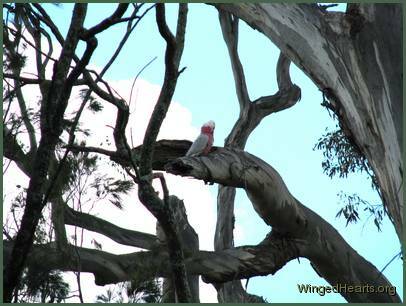 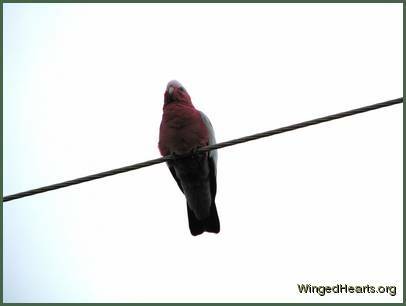 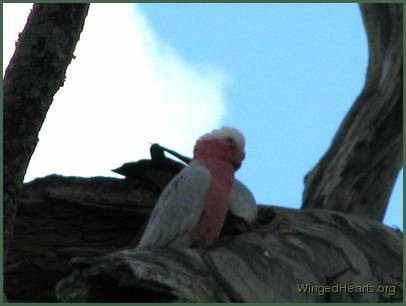 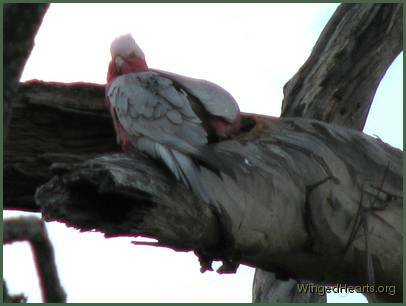 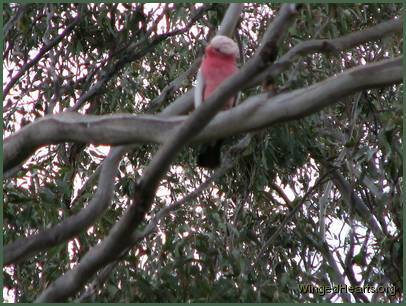 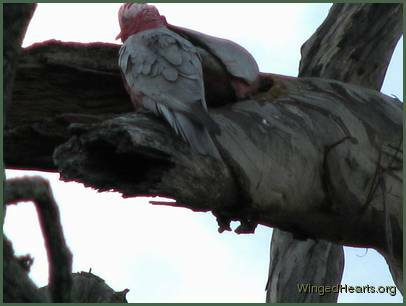 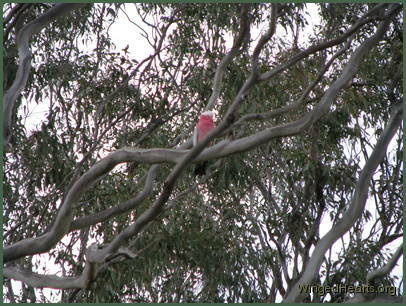 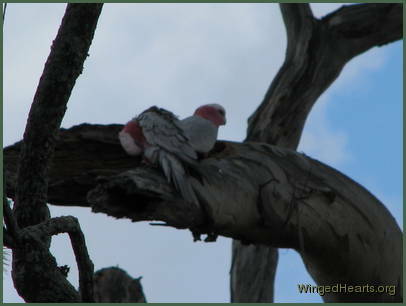 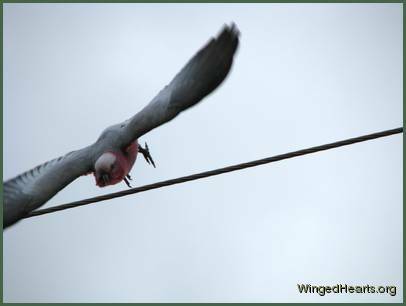 Previous Slide 1/13 NextGalahs Go Camera Crazy?Why is that Galah calling out to me for no apparent reason? 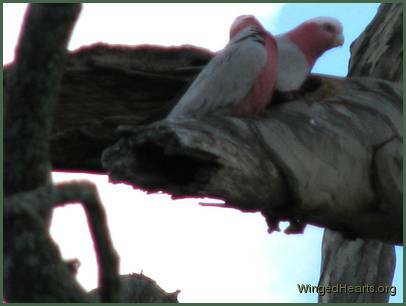 Not one - but two and the other's upto something strange! 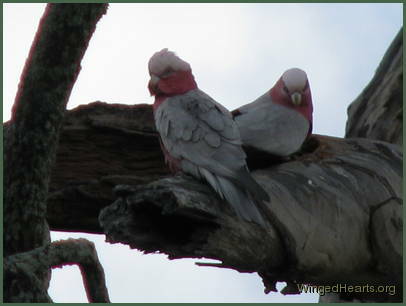 The second is a female and the pair are in deep contemplation... the female head goes into a hole again. 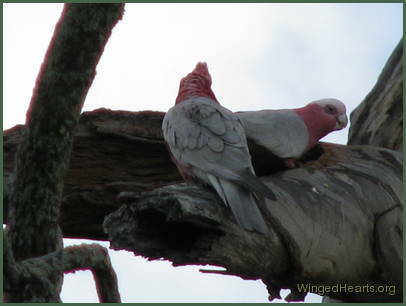 The lady's pleased with the nest.. the guy feels she'll like him too. 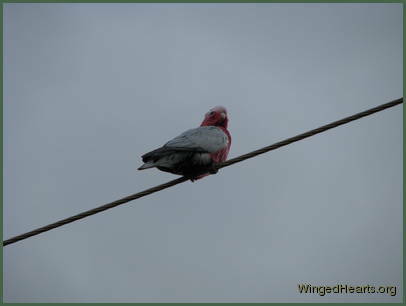 Their friend is waiting and watching from a distance while the sweethearts ponder their next move the friend's mate calls me too they like us to know this is an important time - while they prepare to leave to spread the news.